Our high quality canopy design means they can be enjoyed year round, whatever the weather. You can even stand under them in wet weather. If you ever decide to sell your home, our canopies allow you to enjoy increased property value due to their exceptional design. 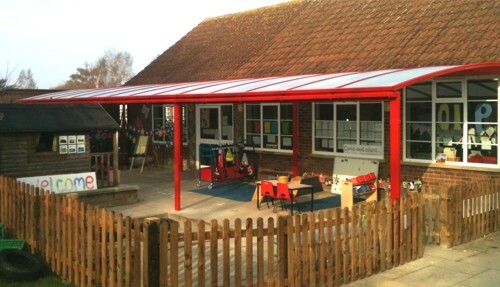 Built to last, a canopy from us is covered by a 10 year guarantee. This means that they promise to maintain performance, long term. Our canopies offer homeowners the opportunity to enhance their home with a new space to use for business or leisure. Comprising of a high quality build from The Millwood Group, we guarantee a canopy that is sure to satisfy. Their exceptional quality allows you to rest in the peace of mind that you’re new canopy is a worthy investment for your home. Their design can effortlessly complement all property types, from modern builds to traditional properties. To enhance their aesthetic appeal further, you can opt for our outstanding Victorian upgrade. This allows you to enjoy a high quality, ornate finish that will bring a traditional charm to any and all homes. It can be decorated in a range of colours to ensure it’s right for you. Our canopies do not need to be fixed to a supporting wall, which makes them incredibly flexible in their installation. This means you can have them as shelter spots in wide open spaces, which proves to be fantastic addition for family gatherings. 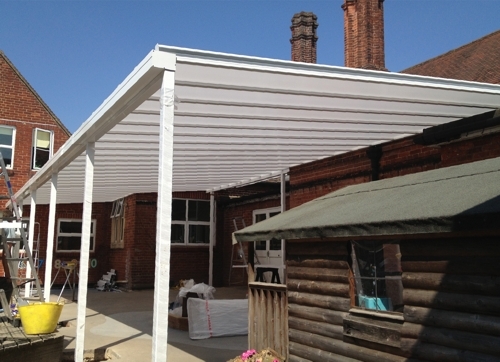 All of our canopies offer high UV protection, sheltering you from UV rays throughout the year. This proves to be an especially beneficial factor during the hotter summer months, allowing to enjoy the weather more freely and safely. Enhancing your home with a high quality canopy from us will also allow you to enjoy increased storage space. Our exceptional design will protect any products or furniture from tree sap, snow, rain, UV rays and bird droppings to prevent damage. Available in a comprehensive range of colours and designs, our canopies offer bespoke options that allow you to tailor them to your property and your tastes. We offer the full RAL or BS colour range to ensure you find a high quality colour that is perfect for you. We also offer a range of canopies that can be used for commercial applications. Offering UV protection, weather protection and peace of mind, our commercial canopies are the ideal choice for events and business use. Get in touch with us via our online contact form to get a free and competitive canopy quote, today. Our professional team will be more than happy to make sure you get a price that has been completely tailored to you. Alternatively, you can get in touch with us via this method should you have any questions about our canopies, products or prices.